Wah Seong reported FY18 headline profit of RM64.8bn (-42.6% YoY) on the back of an RM3bn (+18.9% YoY) revenue. The drop in annual profits were mainly due to i) higher operating expenses, which we think could be due to higher start-up cost for new orders received last year, and ii) impairment losses by its JV company of about RM12m in 4QFY18. Stripping-off all the exceptional items amounting to RM10.5m, Wah Seong’s core net profit of RM75.3m was still below our and consensus forecast, meeting only 88.2% and 80.0% of respective full-year estimates. Our FY19-20 forecasts are maintained nonetheless with normal order of business expected to resume, underpinned by the current outstanding order book of RM1.1bn. FY21 earnings of RM81.4m (+15% YoY) are also introduced. 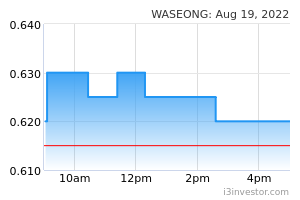 All said, Wah Seong’s positives are largely priced-in, though upsides could come from securing of new (and significant) orders which could only happen in 2H this year from its sizable tender book of RM5.9bn. 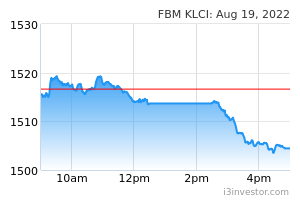 Our TP is maintained at RM0.80 based on 10x FY19F EPS of 8sen. Maintain Neutral rating for Wah Seong. Slower activities in 4Q. FY18 performance was dragged by the slower oil and gas activities in 4QFY18 particularly in the Asia Pacific region which saw revenue for the quarter drop 27.9% YoY to RM706.4m. This was further worsened by loss from associates of RM7.9m. Overall, Wah Seong reported weak quarterly (4QFY18) numbers with core earnings of only RM7.8m. Significant work order to come only in 2HCY19. Wah Seong’s outstanding orderbook stands at RM1.1bn inclusive of estimated RM500m worth of new projects secured last year. Of the total, the balance orderbook for NS2 project is about RM444m which is expected to be fully completed in 3QFY19. The Group’s tender book remains status quo as per last few quarters, standing at about RM5.9bn mainly from oil and gas pipeline projects in Australia, Europe and Africa. We understand that all the projects are still valid and currently in active bidding. Nonetheless, award of these contracts could only happen in 2H this year. Hence, contribution from any new orders will only be seen in FY20 onwards. Earnings forecast. No change to our FY19-20 earnings estimates. We foresee the Group registering negative growth in FY19 particularly due to its depleting orderbook and lack of fresh orders in hand. FY21 earnings of RM81.4m (+15% YoY) are also introduced.